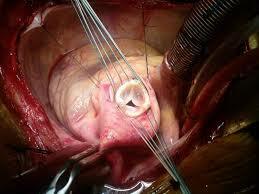 My first surprise came the day before my aortic valve was to be replaced. My wife and I met with the surgeon. He explained that he would be inserting a cow valve—and by that he meant not an actual valve from a cow but a valve that was manufactured from cow tissue. I had been reading about the medical use of cow valves and pig valves and had assumed such phrases referred (as do expressions like “kidney transplant”) to the entire valve from the animal’s heart, not just a component material. Gone suddenly were boyish images of hearts plucked from sacrificial animals to bring courage and strength to young warriors. A bigger surprise came a week after the operation. At home was a note from the hospital explaining that the new valve was an “implanted device” and as such came with a model number and a serial number that are registered with the manufacturer. The information was listed on an enclosed card that I was told to carry with me. A serial number for my new heart valve! Why was I surprised that my “cow valve” turned out to be so utterly a technological commodity that it carried a model number and a serial number, as if it were a refrigerator? The realms of the natural, the mechanical, and the manufactured had come together in ways that I was not prepared for. 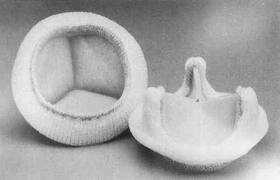 My original heart valve, human though it was, had served a function that was essentially mechanical; it was a piece of plumbing. So maybe it should not have surprised me that, conversely, a new valve did not need to be entirely “natural” any more than it needed to be a whole, transplanted body part. It could be—and is—a manufactured concoction of materials and design that does the job of opening wide and closing tight. Which it will hopefully continue to do for a long time. This entry was posted in Surviving and thriving and tagged animals, heart, surgery, technology. Bookmark the permalink. Glad to hear you are back and running about – stay well! Belated thanks, Iain. More walking and lying about than running at the moment, though. Hope you are doing well.